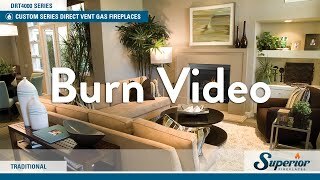 The DRT4000 Series direct vent gas fireplaces represent affordable craftsmanship, certain to make your home both warm and alluring. This fireplace series comes standard with superbly designed high-definition logs, brilliant flames, and convenient wireless wall-mounted controls. The DRT4000 Series also offers a variety of optional accessories that will add more flair to your fireplace.